After a lively Sunday Funday in the Wrigley bleachers, we needed something light. I had met my Chicago-style hot dog quota for the day. 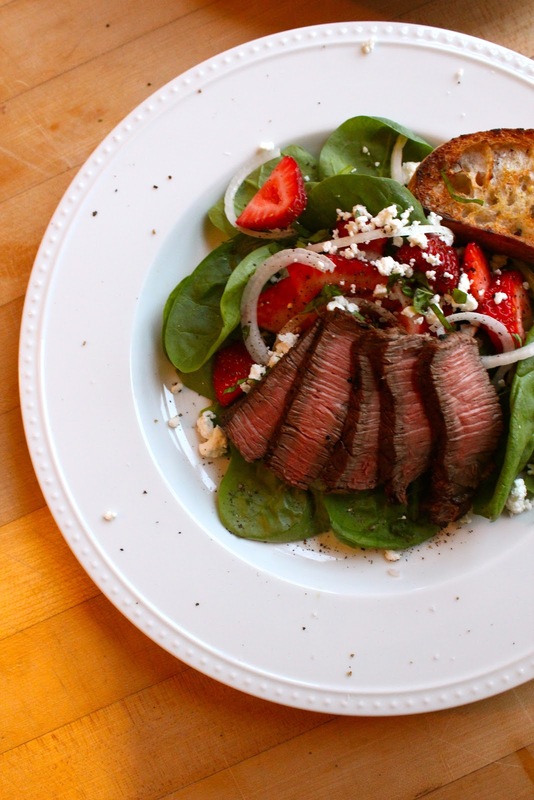 Luckily I had marinated some steaks in the morning and we took advantage of the seasonal strawberries for spinach steak salad with goat cheese. Maybe it was the cool, cloudy day or that the Cubs are inching closer and closer to being mathematically eliminated from the playoffs, but it felt like summer was drawing to a close. Plus when you're taking pictures of your food, you are hyper aware of the shortening hours of natural light. 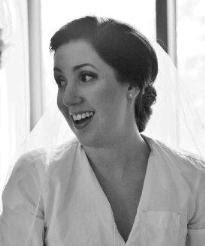 Side bar -- bloggers, any equipment recommendations? I need a flash that doesn't make my dishes look slimey. All natural light photography is just not going to be an option very soon. Despite my lamentations... summer is still here. So more reason than ever to enjoy summer-y ingredients. This strawberry salad hit the spot. Marinade started simple, with balsamic vinegar and rosemary as the stars. Enjoying the fresh herbs from my garden while I still can. Plus I like when my fingers smell like rosemary. After your steaks have hung out in the marinade for 9 innings, you're ready for salad time (and a nap). Look at these strawberry beauties. They're certainly not going to look this way in January. Perfectly grilled by the husband. Summer salad satisfaction with a bit of grilled bread. If not playoff memories, at least we can look back on good produce. 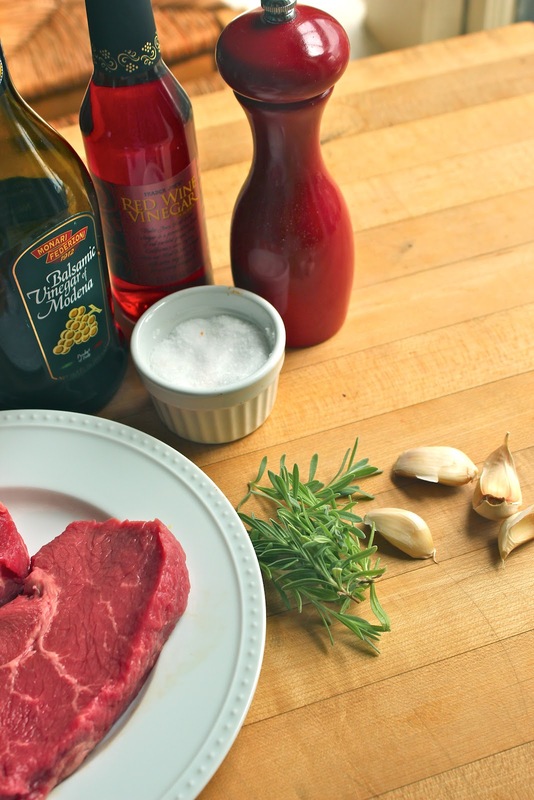 Combine marinade ingredients and pour over steaks. Marinade at least 4 hours or overnight. Grill steaks over medium indirect heat for 6-8 minutes (depending on thickness). Allow steaks to rest before slicing thinly. Combine spinach, onions and strawberries and top with cheese and steak slices. Lightly dress just before serving.